Discussion in 'Collectors Corner' started by Abrahan, Jun 7, 2016. 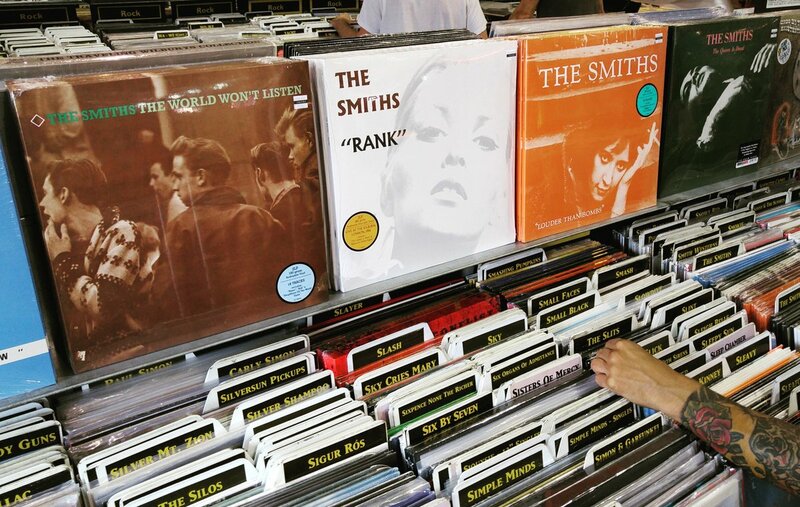 Just noticed that a local record store has Louder Than Bombs and The World Won't Listen as 2LP re-issues. With June 7th, 2016 as the release date. Yeah, I was about to mention those. I saw those three on elusivedisc. I think over here on the continent, these have been out for a while now. That is to say, I bought a copy of this new 2LP Rank about a month ago in Eindhoven's Velvet Music record store. Artwork faithful, including the great inner sleeve pic; since there are now two inner sleeves, the credits have been divided over the two. No WEA/Warner logos; I believe the only mention of Warner's is on the label itself. The album outer sleeve, including the gatefold, is matte rather than the original (Megadisc issue, at least) glossy finish. The backs of the inner sleeves are medium grey rather than repeating the M&M image because the credits (and so the two pictures) are split over two inner sleeves now. The label itself is the only place where Warner is mentioned, otherwise it's only the issue number "2564665883" (spine and back). As with the Marr remaster CD (and unlike the original Megadisc LP and CD), What She Said is indicated as being a medley. The first person to quote Paint a Vulgar Picture should be strung up by their ankles and dipped into a vat of syrup followed by a thorough feathering. I like your profile photo. Is the source for these the remaster Marr did a few years ago, previously released on CD? These are not new re-issues. They are the exactly the same records released by Rhino in the 'Complete' box set back in 2011. It would seem the albums are being sold individually now, that's all. These are the Marr reissues they have just been out of stock, they are represses.